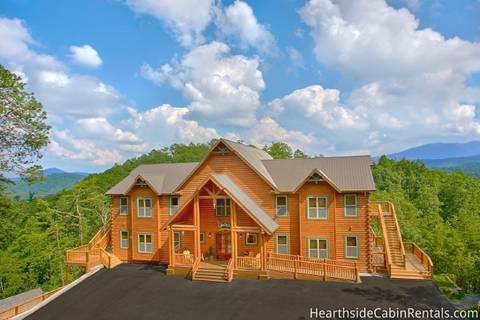 The latest in Smoky Mountain vacation luxury, guests staying at THE BIG ELK LODGE are in for a real treat! 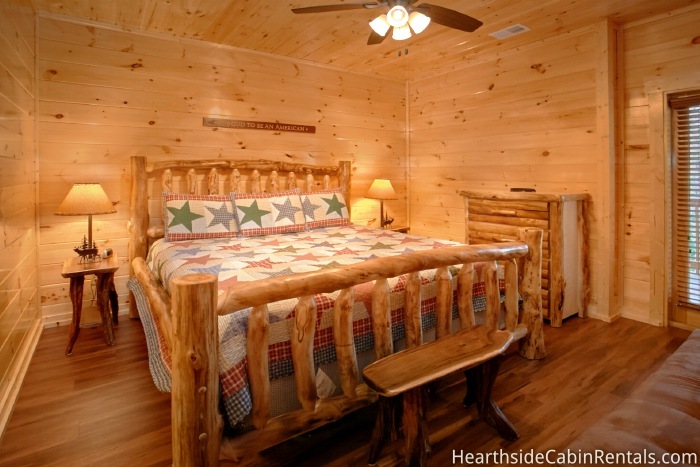 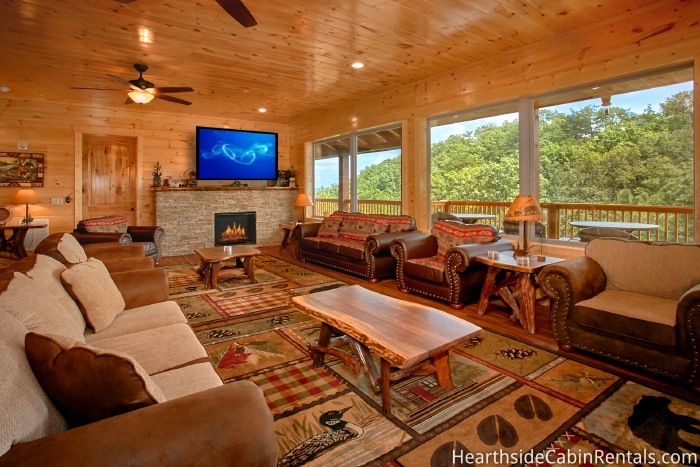 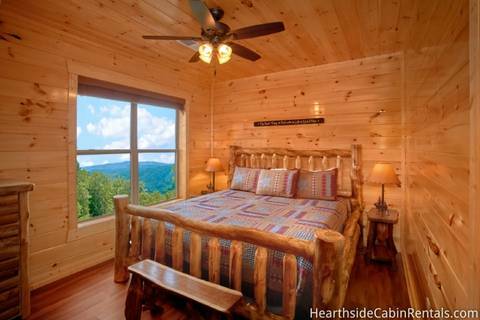 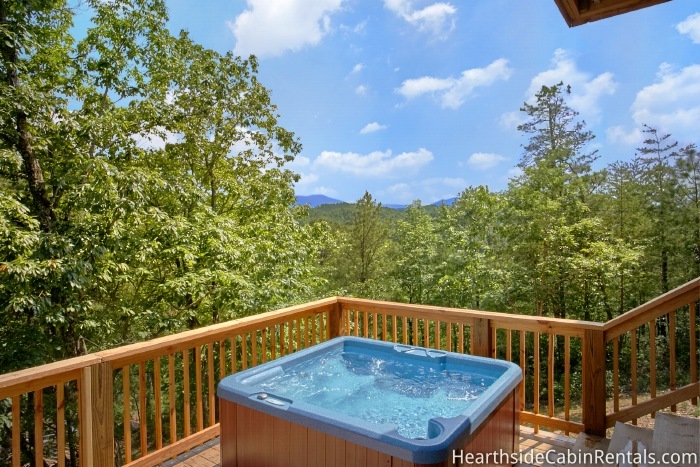 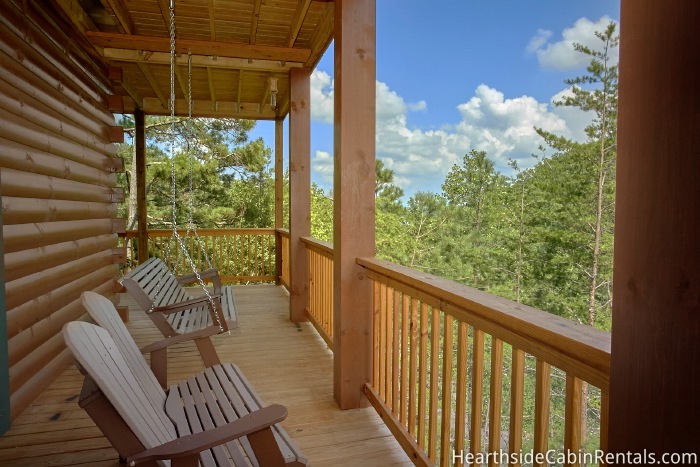 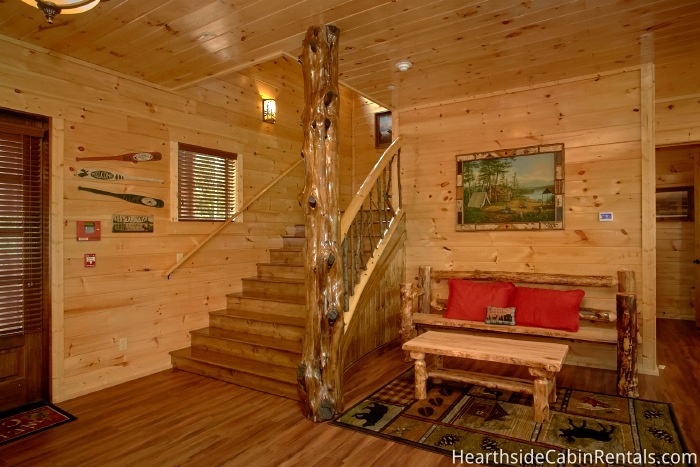 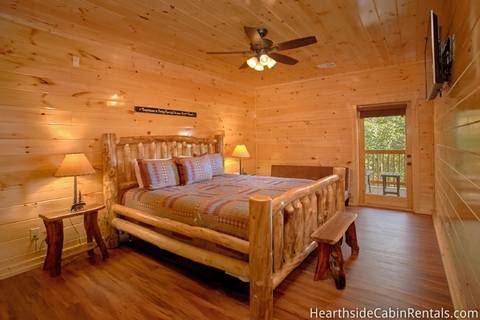 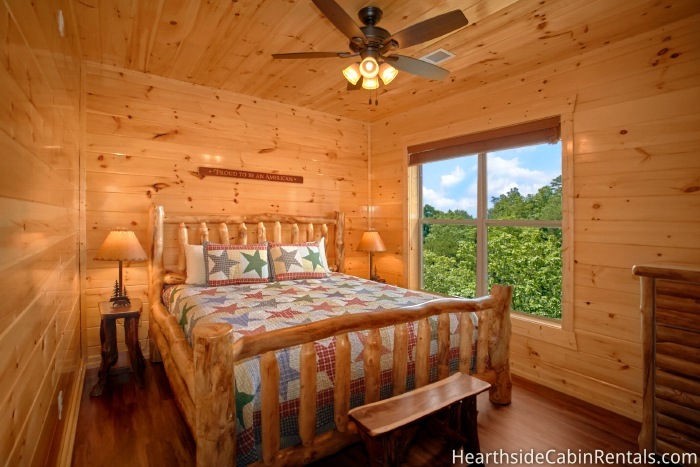 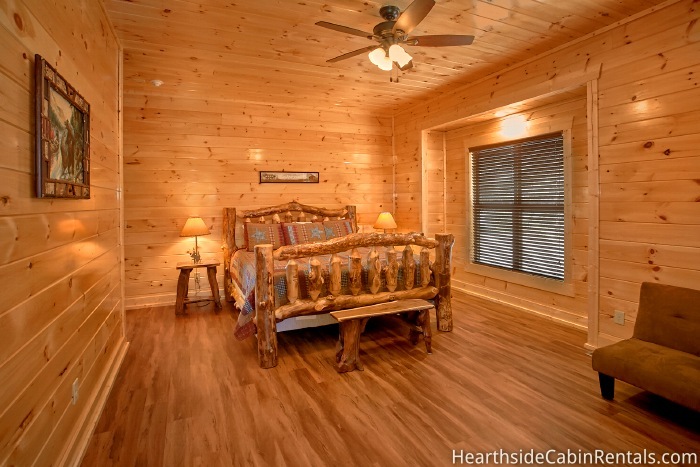 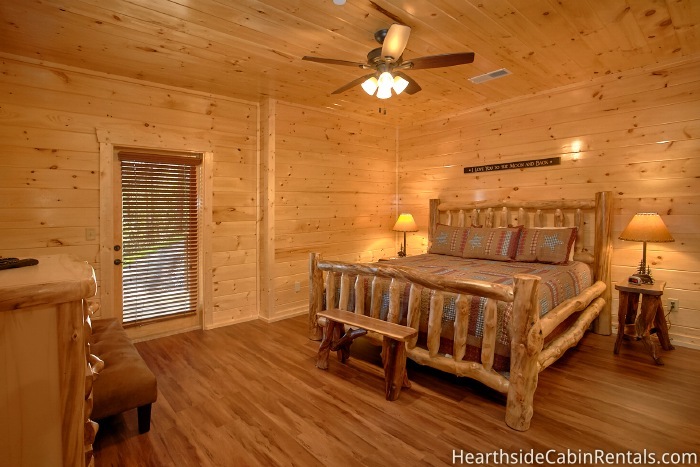 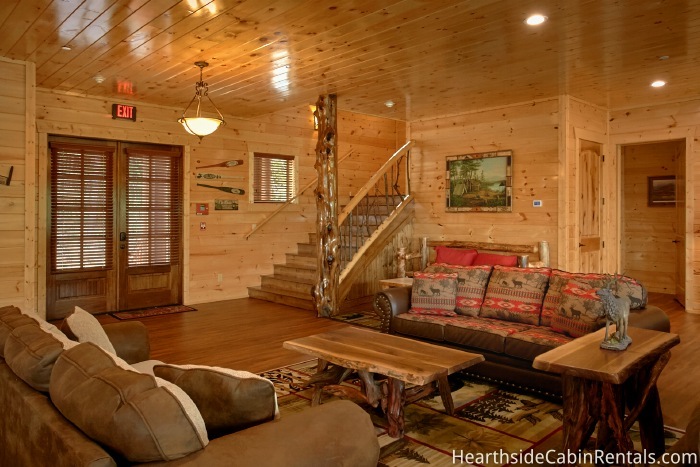 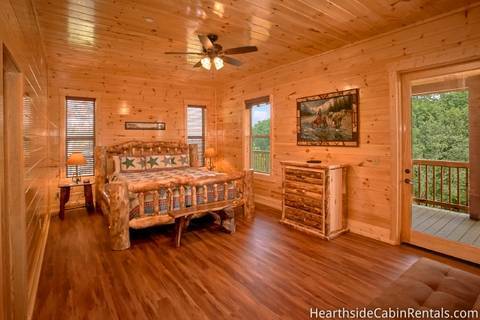 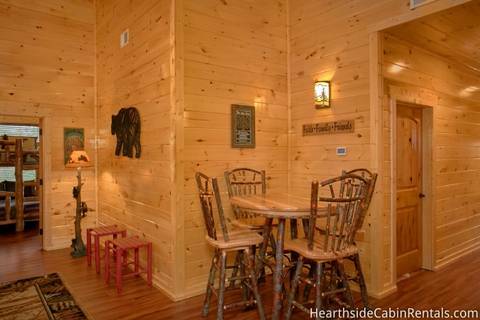 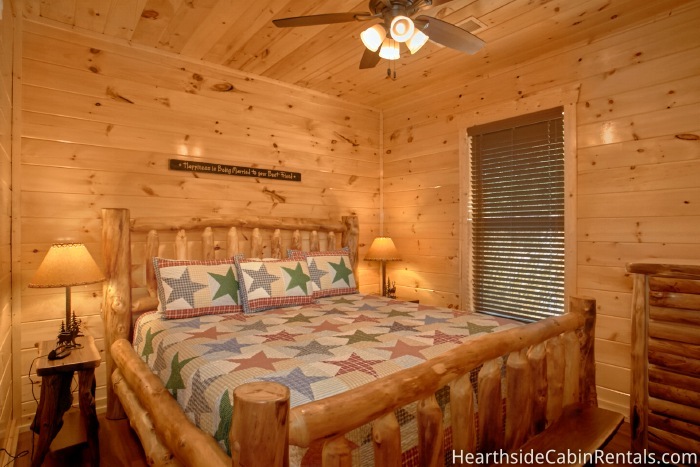 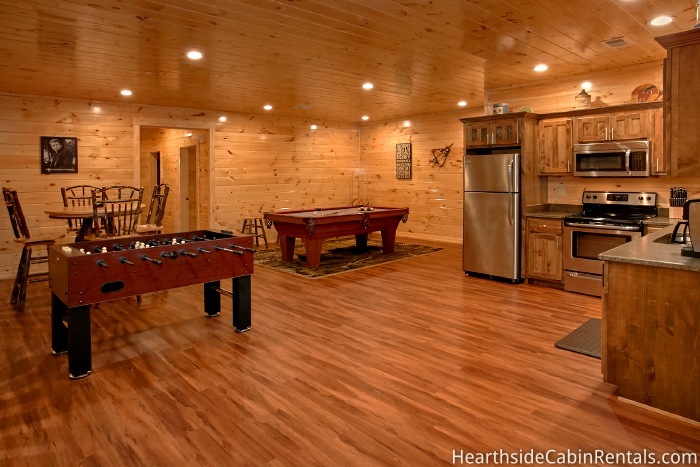 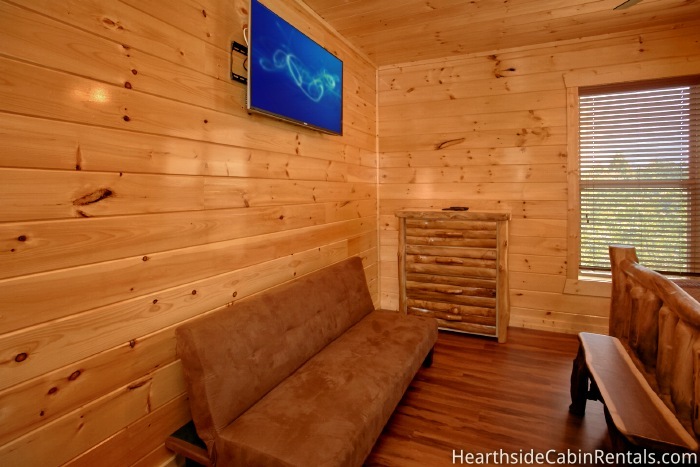 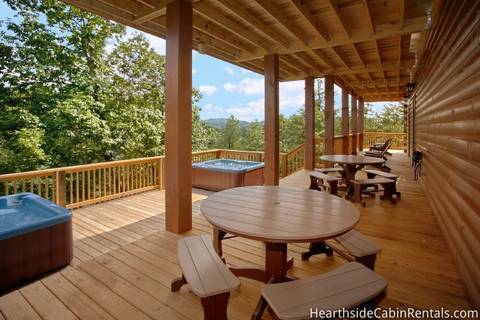 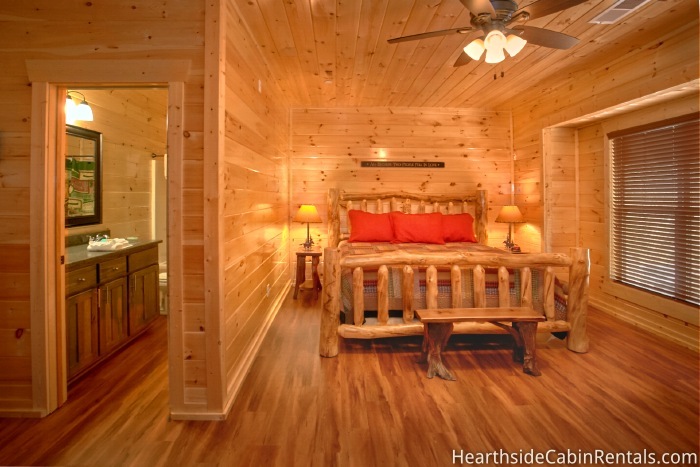 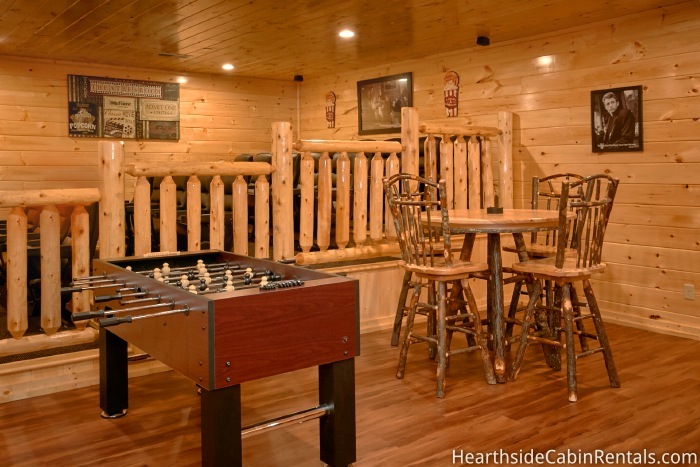 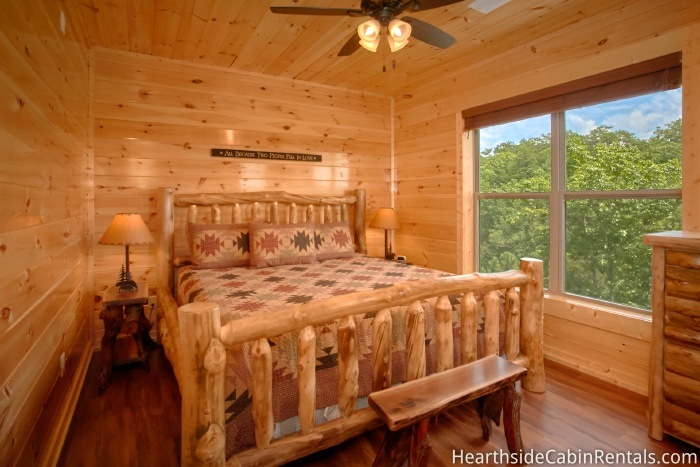 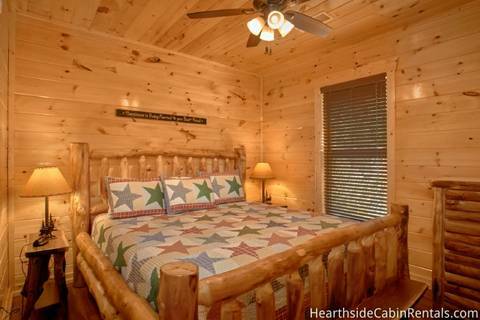 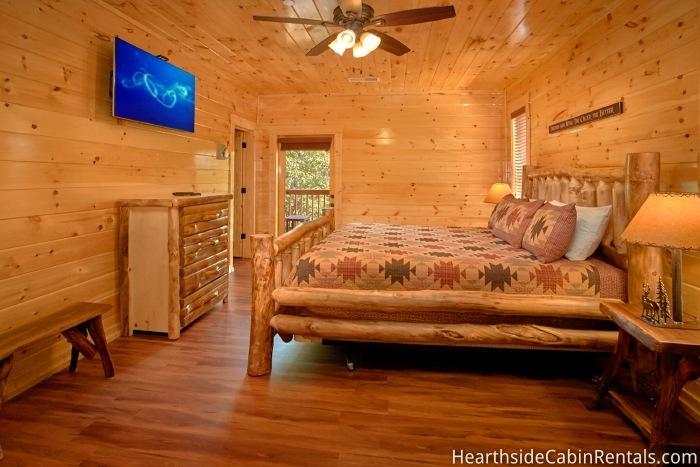 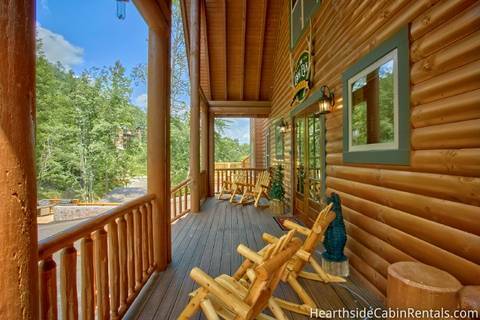 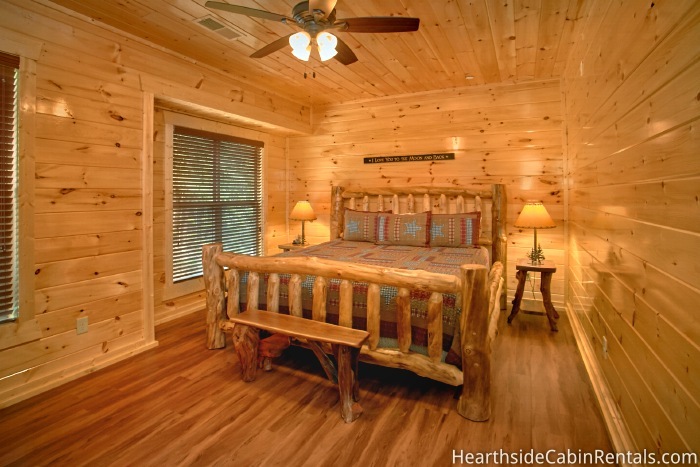 This 16 bedroom log-style Pigeon Forge cabin has everything visitors will need for a memorable vacation experience. Tucked away from any neighbors, THE BIG ELK LODGE offers the ultimate secluded vacation feel while still being just a short drive from all the fun and exciting things to do in Pigeon Forge and the Smoky Mountains. 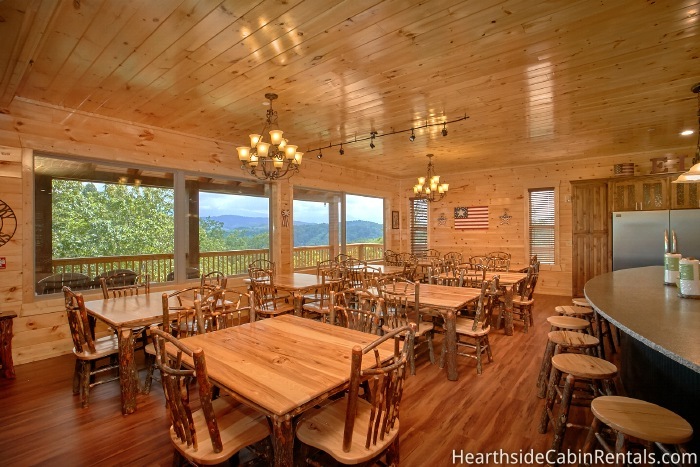 With the ability to sleep up to 74 guests comfortably under the same roof, THE BIG ELK is the ideal lodging rental for any family reunion, church retreat, or group of friends wanting to spend some time together in the heart of the Smoky Mountains. 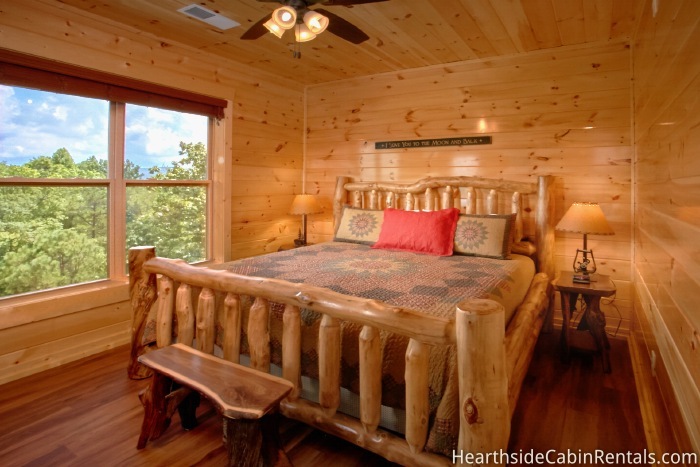 Upper Level: Comfort with a mountain twist, the upstairs at THE BIG ELK LODGE can sleep 48 guests in its 9 large bedrooms, each with a private bath. 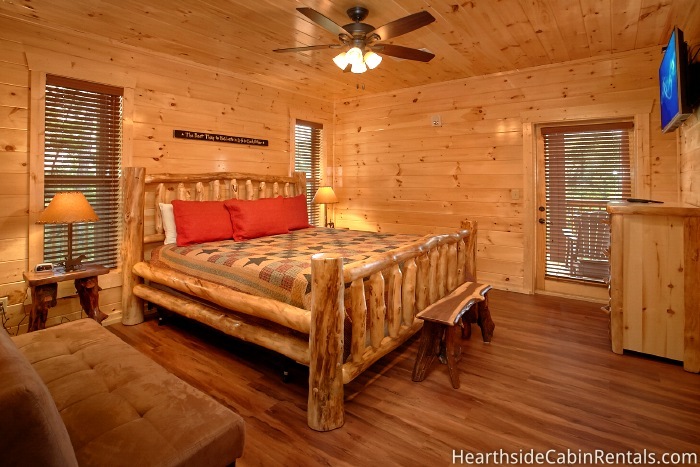 7 King beds with futons and private baths. 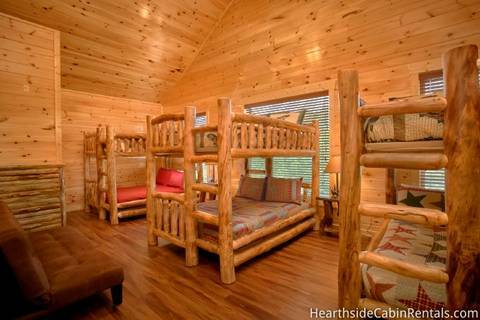 1 room with 3 full bunk beds and 1 room with 3 twin bunk beds and a futon. 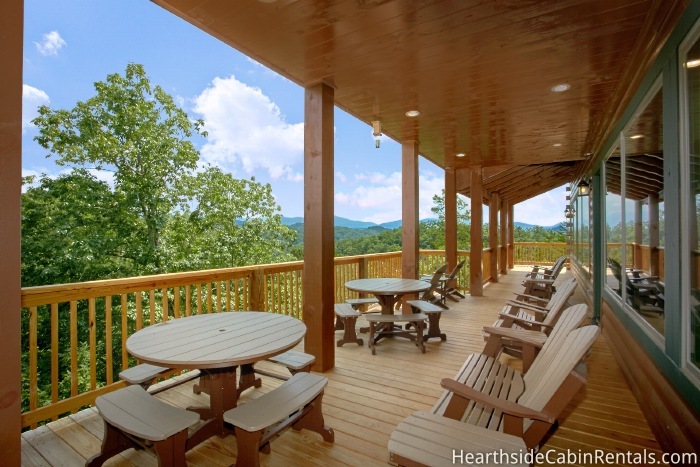 On a clear day, many visitors to the Pigeon Forge cabin have reported being able to see as far away as the ski lodge at Ober Gatlinburg ski resort. 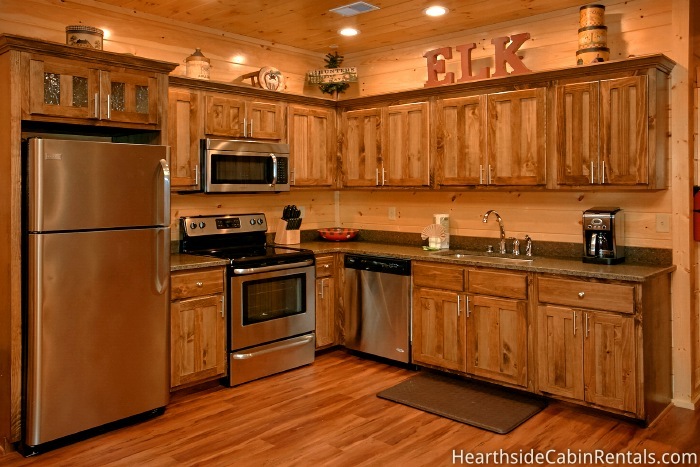 Main Level: The main level of THE BIG ELK LODGE is where guests will find a fully-equipped kitchen with a large refrigerator, freezer, 2 stoves, 2 dishwashers, an ice maker, and lots of seating. 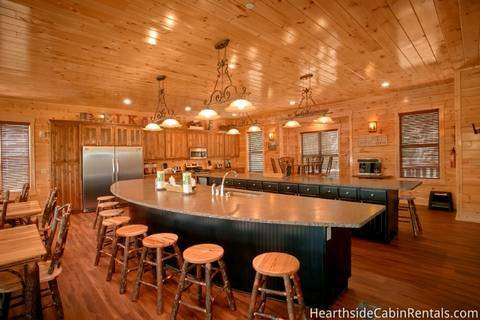 The open floor plan of this level also allows guests to flow freely between the kitchen and living areas located on this floor. The two king bedrooms on this level have a futon and a full bathroom in each (one of which is handicap friendly). 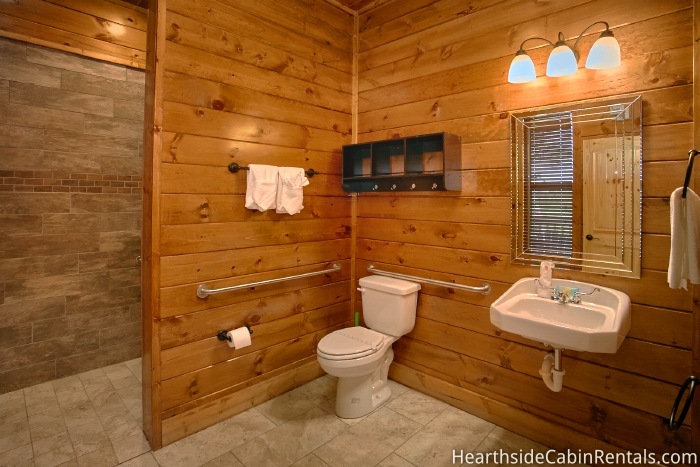 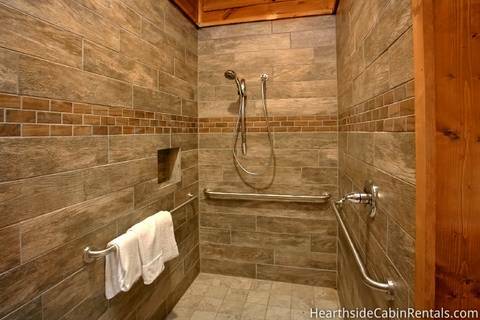 A half bathroom is also on this level. 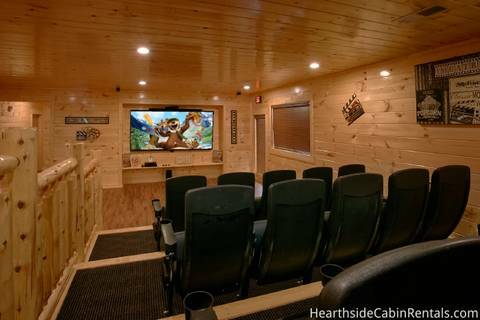 Lower Level: An entertainment lover’s oasis, this level is home to a regulation pool table, a 21-person theater, deck with two bubbling hot tubs and a full kitchen. 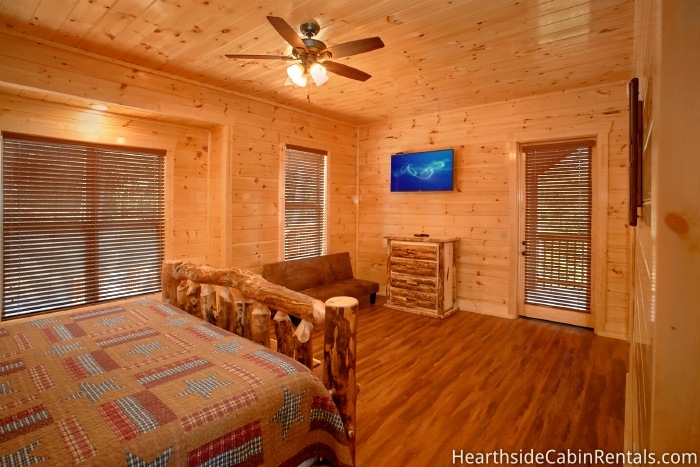 In addition, on this level guests will find 5 king bedrooms each with a futon and a private bath as well as the laundry facilities and a half bathroom. Additional access to the lower level deck provided by the wrap around deck making it wheelchair friendly. POOL ACCESS: Guests staying at THE BIG ELK LODGE will have access to the resort’s outdoor pool. 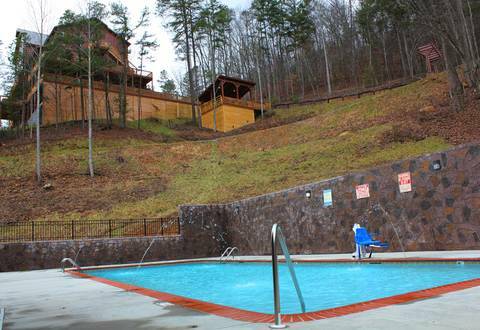 Offering both relaxing and picnic table seating options, a private bath area and ample parking, the pool area is the perfect place for guests to cool down this summer. Cabins were beautiful, very clean and well stocked with kitchen items, electronics, etc... 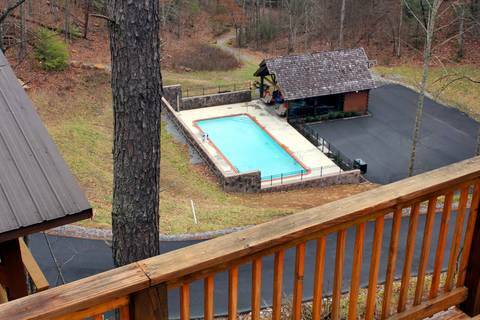 Whenever I called (a few times) for trash pick up, someone came quickly. 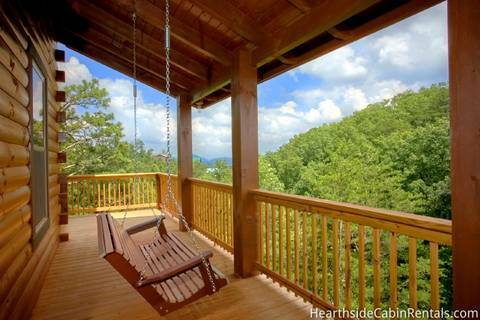 We were very happy! 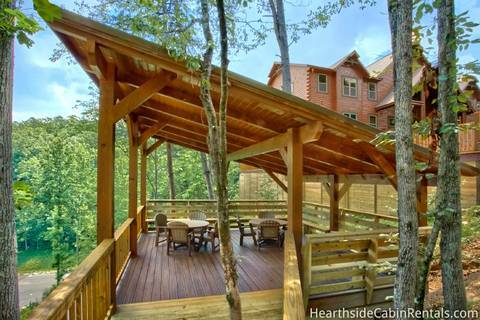 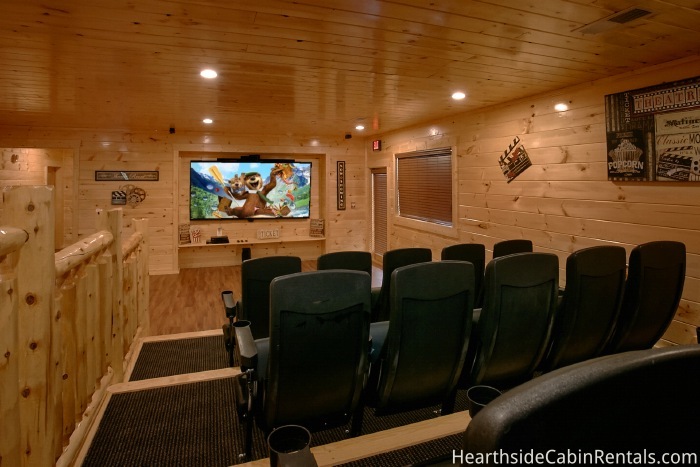 Yes, I would recommend Hearthside to a friend or family member! 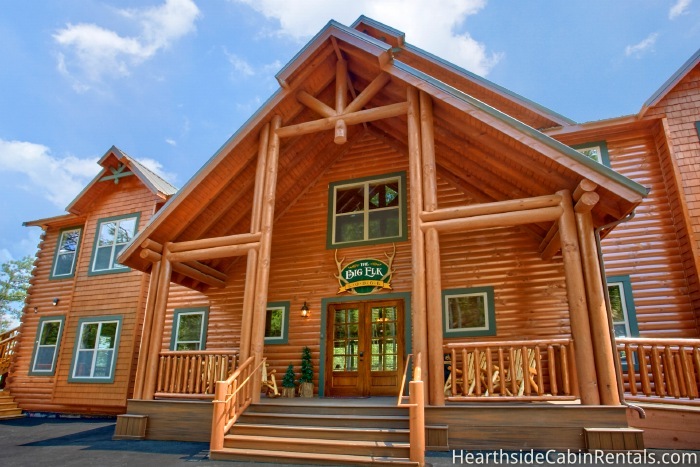 Staff very friendly, helpful, and accommodating . Will definitely use the facility again Yes, I would recommend Hearthside to a friend or family member! 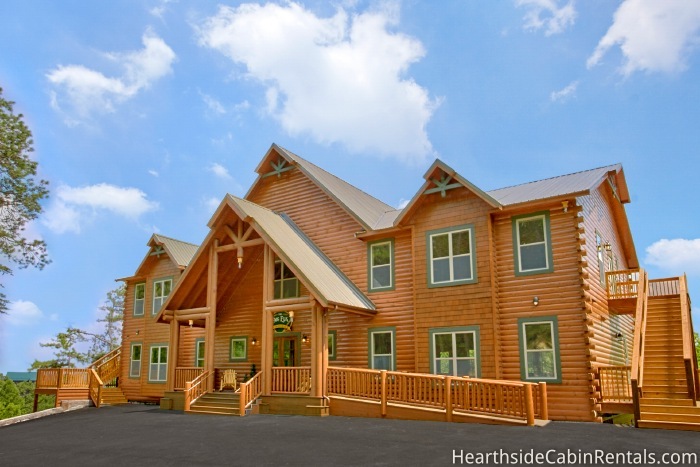 The Ladies from Bethel Christian Church loved their retreat. 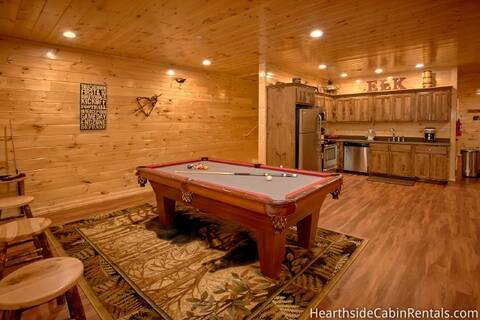 We have stayed in The Big Moose Lodge last year and the Big Elk tis year. We are already looking forward to return again! Yes, I would recommend Hearthside to a friend or family member! The cabin was absolutely beautiful and working with the staff was a great experience!! 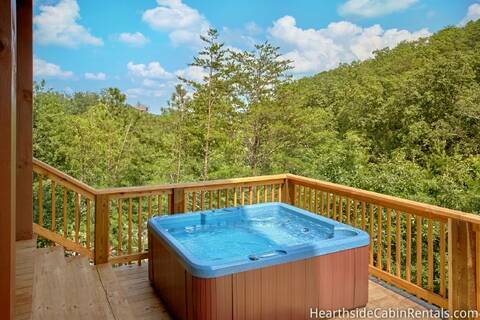 We'll be back!! 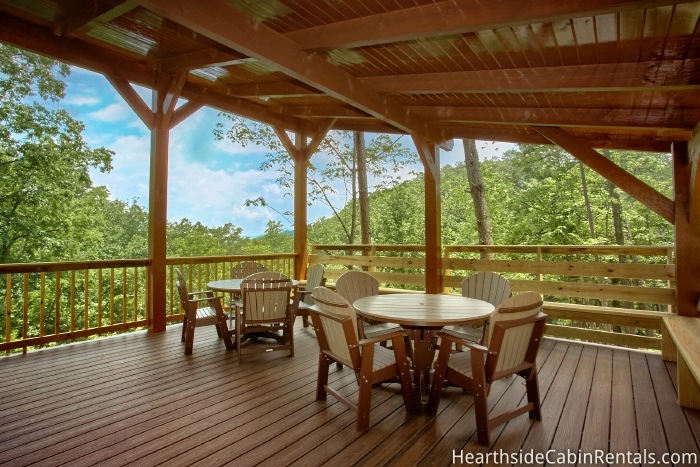 Yes, I would recommend Hearthside to a friend or family member! Excellent cabin. All accomodations were great. We really had a great home away from home. 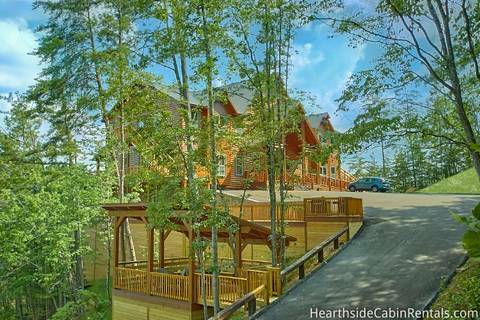 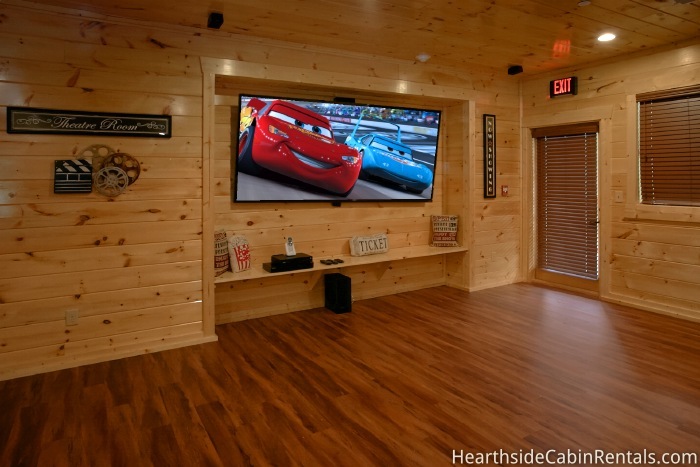 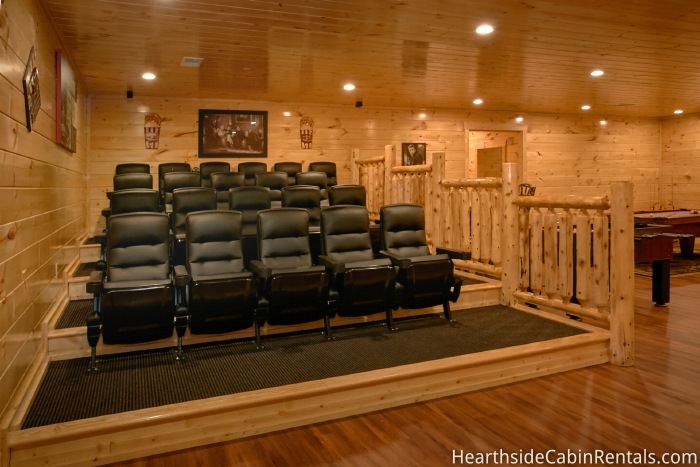 Yes, I would recommend Hearthside to a friend or family member!